Curt Flood played 15 years for the St Louis Cardinals. He batted .293 lifetime and was a 3 time all star. He won seven gold gloves, three pennants and two World Series. In 1969 bound by the reserve clause Anheuser Busch traded him to the Philadelphia Phillies where the “N” word was as common as hello. 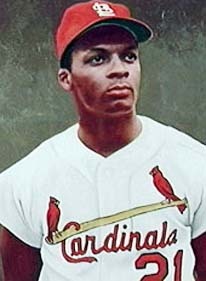 Curt Flood refused to be traded and stood his ground. He along with Marvin Miller sued Major League Baseball. After a lengthy court battle, the reserve clause disappeared and the age of free agency was born. More than 100 years after Lincoln, Curt Flood broke another barrier to a form of slavery; it was called the reserve clause. So when your favourite team signs a popular free agent, remember the name Curt Flood and make him a part of your black history month. Welcome to my blog. The opinions expressed are my own. c 2011. Simple theme. Powered by Blogger.